Since coming here in 2008, I’ve gotten to have some downright fascinating discussions about Japanese culture and why certain aspects of the culture are the way they are. A subject that’s been discussed and rehashed, time and time again, is Japanese beauty. Before you call me a chauvinist and put my head on a spike, please hear me out. I’ve had these conversations with more Japanese women than I have with Japanese men. It’s intriguing to hear how the conversation on “good looks” varies from person to person, from men to women and from country to country. Beauty is a topic that pervades every culture and society. Whenever I overhear, eavesdrop on, Japanese conversations about aesthetics, my curiosity always gets the better of me. While minor things differ from conversation to conversation, some features (whether it was a man or a woman talking) are mentioned over and over again. While smooth, clear skin is considered a fairly universal standard of beauty, in Japan it seems the lighter the skin tone the more beautiful it is. The Japanese lighter skin phenomenon is a true mystery to me (said the brownest man in the room). Could it be historically linked to Japanese geisha? The 19th century, female entertainers who donned kimonos, white makeup and red lipstick accents; the former pinnacle of Japanese beauty and elegance. Or maybe, in a bygone Japanese era, your skin symbolized they type of family you came from. Darker skin meant you were part of the lower, working class while lighter skin was characteristic of nobility? If you’ve never read the book Shogun by , I recommend it. It’s a great story that showcases issues like this, ones that divided commoners and nobility in feudal Japan. Regardless of its origin, skin is a HUGE issue for women all over Japan. * Pure, white, unblemished skin is extremely coveted here. If you’ve been here in Japan during the summer, tell me if you can relate to this. You’re lurching to the supermarket in 10,000+ degrees heat, dripping sweat (in your your shorts and tank top) when a Granny Bike Ninja whizzes past you. ​The reason you see woman so covered up on these hot summer days is primarily for skin protection. You know how tanning in America is considered cool? Not so much in Japan. I remember having to get a CAT scan once at the Tsukuba University Hospital and as I was about the go in, one of the younger female nurses/trainees got super close to my face and told me “Sugoi! Hana ga takai.” She was admiring the bridge of my nose. I found this pretty interesting because in the U.S. I’ve gotten the occasional “big nose” comment, which I never really minded so much. It seems that no matter where you go, people want a more “exotic” look. Some people take the word exotic to mean rare, but let’s change the word to “foreign” or “different” in this case. In the U.S. What to people usually have done to their noses? They get a skilled plastic surgeon to hack a their noses to make them smaller while fitting the natural contour of their faces. In Japan, in Asia, it’s the opposite, and stronger, higher, slightly bigger nose bridge makes you unique, it makes you exotic. I’ve talked to women in Japan who have literally told me that they hate their noses because they’re too small! I guess every society has some type of physical appearance complex to deal with. After one particular Golden Week holiday (one of the important holidays in Japan), I remember asking a Japanese friend how his vacation was. 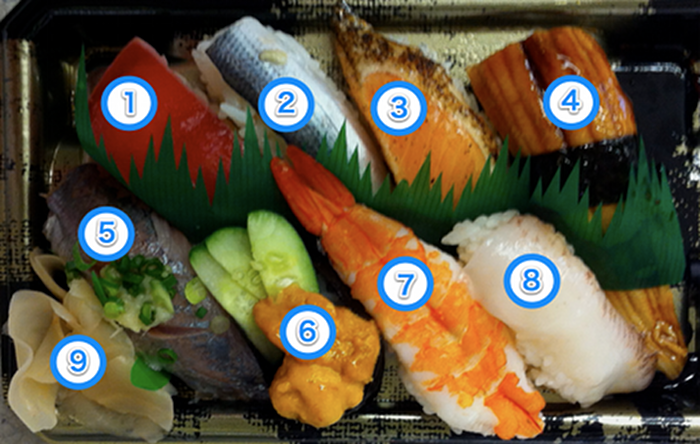 He had taken a trip to Hokkaido and began to tell me about how good the food was and how beautiful the women were. Curious, I asked him why the women in Hokkaido were so beautiful? “They have beautiful, white skin and slim faces,” he replied. Though it wasn’t an incredibly in-depth discussion about what makes a women pretty here in Japan, I never forgot what he said. The slim/small face comment is one that I’ve heard countless times. So much so, that I would say it ranks as one of the top three beauty comments that I’ve heard. I remember having a coworker once who I thought was gorgeous, but she was often down on herself because she was slightly heavier than the average Japanese women and had a round face. When anyone would tell her how pretty she was, she would kind of brush it off as something she couldn’t really believe. Do you know the expression “ぼんきゅぼん (Bon Kyu Bon)？” Well in Japanese it’s kind of like onomatopoeia but not exactly. This expression is used when talking about a woman’s body shape. The first “bon” symbolizes a large bust, “kyu” means having a small waist, and “bon” means having a large curve at hips. Bon kyu bon is the Japanese equivalent of an hourglass figure. On the Japanese beauty scale, I think the thin, slim, or petite woman trumps the one with amazing curves. Of course there are exceptions and personal preferences, but I think in general this is the case. This is probably the only standard on this list that’s a bit of a toss-up. I had this conversation with Japanese men and women and it seems that no two people will have the same answer. I recently asked a Japanese friend (woman) “Which is more popular? The hourglass figure? Or the slim/petite one? She said the hourglass figure. When asking a male Japanese friend the same question, he insisted on the slim/petite physique. It’s kind of hard to tell which is generally more popular. Every time I see one of these I cringe. I can't be the only one who thinks it looks like a torture device. Every time I see one of these I cringe. I can’t be the only one who thinks it looks like a torture device. How do we know curly eyelashes are a standard of beauty in Japan? Here’s how. One of these days when you’re on the train you may come across a young lady who decides to have a full-blown makeup session on the train ride to work. When she finishes putting on powder, she may pull out a contraption that looks a lot like a torture device. 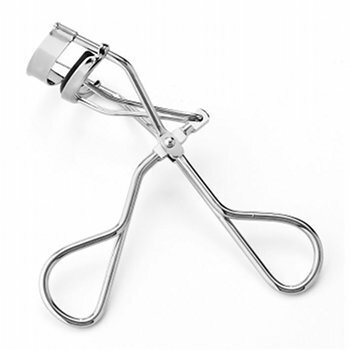 This “device” was made to curl eyelashes into submission. Another thing that I’ve seen (not really a fan, though) is the women wearing the OBVIOUSLY fake eyelashes. Generally it’s younger women who wear them, or who sit on the train and glue them on, but if they look fake, doesn’t that kind of defeat the purpose? Again some aesthetic features are universal and eyelashes ( are one of them. It’s why women here, women in the U.S., Europe and countless other countries use mascara to make thicker, fuller, curlier lashes. Why is the double eyelid a biggie? Well I’ve asked about this one, and the best answer I’ve heard was that having a double eyelid make the eye look bigger. I assume bigger eyes are more beautiful here in Japan. The eyelid thing is one I don’t think I’ll ever fully understand. Personally, I’ve never looked at a woman and been like “Eww! Dude, she’s not cute at all because only has a single eyelid! There’s no way I’m dating her.” Just sounds kind of crazy to me. Have you have snuck a peek a Japanese woman standing on train with a pair of amazing legs? It’s okay you can admit it, I won’t tell anybody. Women you can admit it, too. Well I think this is one Japanese women’s best assets. There are Japanese women with great legs! I also know this a standard from being a member at Gold’s Gym. My Gold’s Gym has quite a few women who compete in physique competitions. Some of their bodies put mine to utter shame. Once you’ve had some time to train alongside them and talk to them, you get a sense of some of their body insecurities (we ALL have them). One thing I’ve heard (several times) is women who wish their legs were longer. They say beauty is only skin deep, but I disagree. Beauty can come from a woman’s personality/demeanor, too. A woman with a gorgeous exterior and a rotten core, or an abrasive personality kind of takes her down a few pegs on the ole attractiveness meter. At least in my eyes it does. In Japanese culture, from the outside looking in, it seems as though personality and mannerism play a big role in how “beautiful” you are. An extremely poised/polite/elegant woman (think kimonos, hair pinned up, seiza (sitting on your heels), hands in the lap) is considered to be be more beautiful than say a wild and crazy, or brash one (think party girl, loud, drunk, or even rude). I remember one middle-aged woman on a train who was talking with her friends, albeit louder than is comfortable for most Japanese commuters. I remember seeing an older gentlemen who looked at the woman in disgust. He mumbled under his breath 『バカみたい』(Baka Mitai) . This translates to mean (“Like an idot.” or “Such an idiot”). This instance showed that louder women (I think loud people in general) can literally be frowned upon. While these are some of the typical characteristics I’ve heard here in Japan, beauty is relative. What’s attractive to me might not be attractive to you. What’s attractive to you may not be attractive to someone else. How “beautiful” someone is will be a debate that rages on until the end of time. DO YOU AGREE WITH THIS LIST OF JAPANESE BEAUTY STANDARDS?